From left: Director General, Chartered Insurance Institute of Nigeria, Richard Borokini; President, Eddie Efekoha; Council Member, Dr. Sakiru Oyefeso; Chairman, Activities Committee, Edwin Igbiti at the event. The Chartered Insurance Institute of Nigeria (CIIN) is set to host millennials assembly aimed at equipping young professionals and charting new ways for the insurance sector. 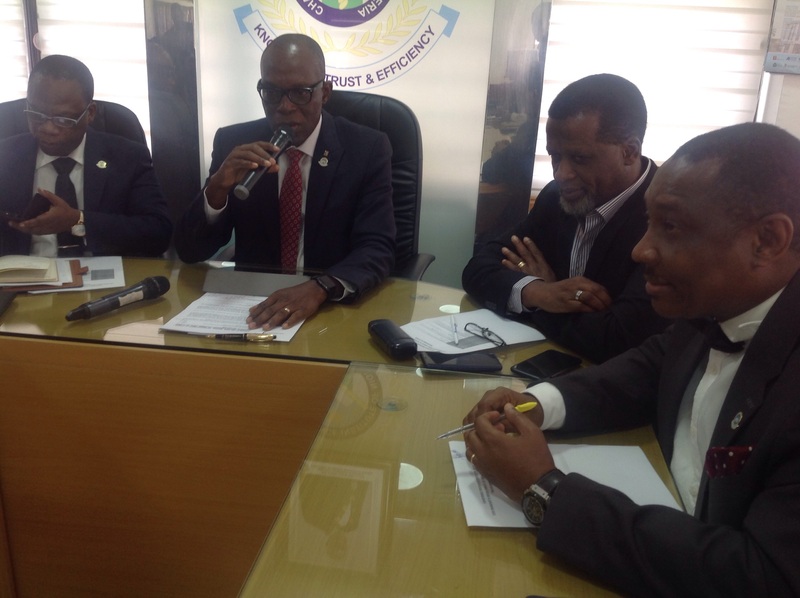 The President of the CIIN, Eddie Efekoha who disclosed this today at a media parley in Lagos, noted that the assembly is opened to professionals within age 21 to 30, adding that the institute had written underwriting firms to send their staff within the age bracket to attend the event and that 31 companies had so far indicated interest to participate. He noted that the institute is mindful of the fact that the future of the industry rests on the shoulders of the youth, hence the institute has to prepare them for the the jobs ahead. Efekoha, who also spoke on other developments, said his tenure will focus on his key mandate of advancing insurance education and professionalism to propel the insurance sector forward. He noted that the partnership programmes initiated with some tertiary institutions are already yielding results as the Senate of University of Lagos had last week approved the Memorandum of Understanding (MoU) signed by the parties. He maintained that the programme when operational, will pave way for Nigerians to run their masters in insurance in the country, instead of going to London. The CIIN boss also said the institute’s council had given approval for the institute to embark on engagements with National Youth Service Corps (NYSC) across the country, adding that the initiative is poised to attract young people to insurance sector. On Miss Insurance Pageant, he said the institute will engage the youths to find ways of revamping it to meet the set objectives. The Director-General of the Institute, Richard Borokini, noted that the millennials assembly will come up soon. According to him, the event will provide an avenue to mentor young professionals. He said facilitators will be drawn from both inside and outside the industry, adding that various issues affecting the industry will be discussed and the millennials will be giving opportunities to suggest way forward for the industry.